What is this Foundation attempting to accomplish? What have we considered Our Mission? To devote our resources and income to making gifts, grants, or contributions, and to providing financial and management assistance, to other charitable organizations which engage in activities such as the feeding of children, organizations which provide medical care to children, and other organizations or persons as the Board of Trustees may determine to be prudent. ..."Feed the Hungry", an outreach project of St. Paul's Anglican Church, which takes care of the once-a-day feeding of school children from impoverished areas who would otherwise go hungry throughout the day. ...The Unitarian-Universalist Church, whose outreach project oversees and makes grants to various organizations that take care of the welfare of needy children. ...other publicly-supported, non-profit organizations, that are organized and operated mainly to benefit children living in San Miguel de Allende. Our Trustees intend to do our own grant evaluations and allocations, giving more priority to charitable organizations that devote the highest percent of receipts to charity work itself, and the smallest percent to overhead . The Foundation will devote 2% of its time to aiding in the publication of literature promoting the goals specified above. The Foundation expects to devote the remaining 3% of its time to administrative and investment duties, so as to maximize the return on the funds it has at its disposal, and reduce the expenses needed to run the Foundation. No activities of the organization are to be conducted by any paid person or organization, officer, director or volunteer. Other than for reimbursement for actual expenditures on behalf of the organization for such expenses as printing, office supplies, postage, copying, etc., no officer, director or volunteer is compensated in any manner. No part of the organization's net earnings will inure to the benefit of private shareholders or individuals, nor will this organization be operated for the benefit of private interests such as the creator or the creator's family, shareholders of the organization, other designated individuals, or persons controlled directly or indirectly by such private interests. Although donations from other entities will not be refused, the Foundation expects to receive all current and future funding from Michael Wein, and then, still later on, from the Estate of Michael Wein. There is no present expectation that the organization will engage in fundraising activities, now, or in the future. 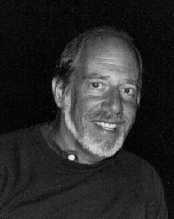 If there is ever to be a decision regarding fund-raising from organizations or individuals other than Michael Wein, the decision will be based solely upon cost-effectiveness. ...To help the underprivileged children of San Miguel and surrounding communities by aiding them in their nutritional needs, their educational needs, their housing needs, their medical needs, and other similar needs. ...To provide financial grants and administrative help and financial management techniques to organizations that, themselves, are involved in providing educational, nutritional, housing, medical, and other aid to children, in and around San Miguel de Allende. ...To provide incentives to local organizations to open their lines of communication (we define this as "transparency") to their constituencies of every type (the contributing and non-contributing public, the beneficiaries of their good works, the volunteers doing the work, and to all others interested in the organization). Our foundation never attempts to second-guess a grantee in a grantee's attempts to carry out its own mission. We decided at the beginning that we would help finance that mission. What we do do is attempt to assure (through financial transparency) that all constituencies of each grantee can decide for themselves whether or not their own contributions to the grantee are worthwhile because they can SEE what a grantee is doing with those contributions. to their constituencies of every type (the contributing and non-contributing public, the beneficiaries of their good works, the volunteers doing the work, and to all others interested in the organization). Our foundation never attempts to second-guess a grantee in a grantee's attempts to carry out its own mission. We decided at the beginning that we would help finance that mission. What we do do is attempt to assure (through financial transparency) that all constituencies of each grantee can decide for themselves whether or not their own contributions to the grantee are worthwhile because they can SEE what a grantee is doing with those contributions. ...To aid local organizations to become more self-sustaining and to become more permanent so that when the original founders are no longer available, there are dedicated and trained replacements available in perpetuity. We define this as "continuity"
...To encourage and aid any local charitable organization that holds itself out to be USA-tax deductible, to actually meet the requirements set by IRS for such a declaration. ...To encourage local charitable organizations that solicit contributions to have, where feasible, financial statements reviewed by independent professionals, but mostly to make these financial statements available to the public. ...To provide, where feasible, any or all of the above funds or services, without cost or obligation, to local charitable organizations. The Michael Paul Wein Charitable Foundation, Inc. is an outgrowth of the ongoing charitable work of its founder. Its intention was to formalize that process, and it is organized to continue its work long after the founder's eventual demise. The original grants are funded by profits from two rental apartments at Mr. Wein's San Miguel home, but it is expected that by the time of Mr. Wein's death, the Foundation will be funded by an endowment totaling anywhere from us$2,900,000 (at very minimum) to possibly well over us$4,000,000. Various legal provisions and substantial monetary rewards are in place to locate and punish any impatient souls who might wish to profit in any way by speeding up nature’s own methods. What are the guarantees we make to our grantees? One further provision in the founders will that ensures continuation of the Founder's wishes stipulates that the Foundation will terminate if the then-current trustees do not continue the Founder's mission and goals after his death. As two of these three trustees also represent two of the larger grantees, there will be both inside and outside pressure (complete with transparency to the rest of the SMA community) on these three trustees to continue with the guarantees made by the Founder during his lifetime. But you, the grantee, also has a part in this insofar as you will be required to continue to follow the processes you were following when you were first accepted as an ongoing_grantee. All of this can be read by you at the very bottom of the founders will page.